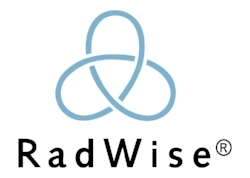 With easy to use point-and-click technology, RadWise, a CMS qualified Clinical Decision Support Mechanism (qCDSM) gives providers the ability to consult robust, evidence-based knowledge for diagnostic imaging and receive appropriate use criteria (AUC) recommendations to meet CMS regulations for claims payment. RadWise unique features include exclusive access to Sage Evidence-based Medicine & Practice Institute (SEMPI) evidence-based radiology decisions content, reference hyperlinks, radiation exposure estimated and reported values, as well as rich diagnostic code and procedure data with outcomes and findings analytics. Content includes all eight current CMS priority clinical areas plus additional areas to improve the ordering process and ensure the right test is ordered and your facility receives payment for all Medicare Advanced imaging claims. Thank you! A RadWise product specialist will contact you shortly.